Moral of the story: Memes saves lives. 'Ralph Breaks the Internet' isn't a game changer for animated movies or sequels, just a studio finding excuses to input product placement of their stuff, but it's no 'Emoji Movie' bad like the trailers suggest. There's actual character development and the main dilemma allows growth in the story arc. The animation is great as usual with thrilling, yet colorful set pieces through out. The chemistry between John C. Reilly and Sarah Silverman are like bread and butter - it just works. All the other characters are very likable and the world their live is fascinating. We could have done more scenes with the Disney Princesses than Slaughter Race (and the song itself), as those were the most entertaining aspects. The original Wreck-It Ralph was a brilliant send-up of video game culture and the sequel does the same thing for our obsession with all things online. Social media? Ultra-violent games? Rampant consumerism? Yup - that's all there - oh, and don't worry, there are a lot of Disney princesses too. No posts have been made on this movie yet. 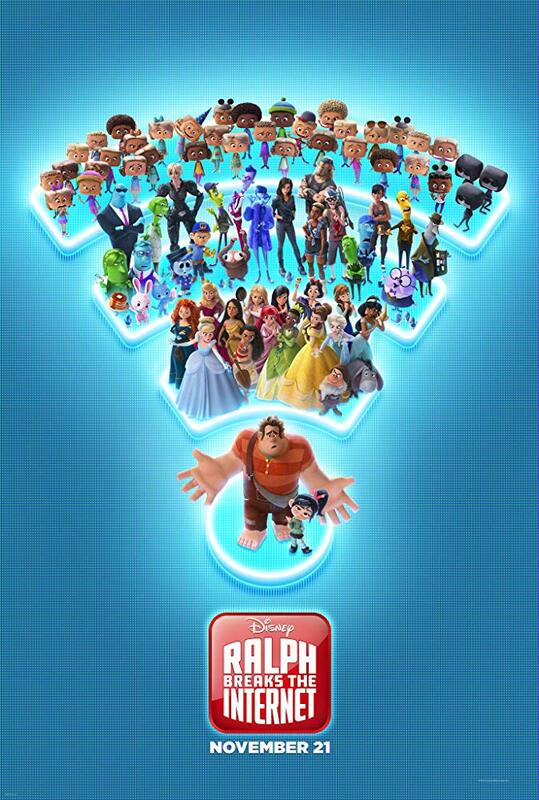 Be the first to start talking about Ralph Breaks the Internet!